Showy white summer blooms and variegated foliage make Yucca ‘Color Guard’ a favorite in low maintenance landscapes. The sword-like, evergreen foliage is soft yellow color with contrasting green edges; the variegation provides excellent contrast both in the landscape and large containers. In summer, sturdy stalks of flowers rise from the center of the plant to 3’ to 4’ above the foliage. Blooms are creamy white, bell-shaped flowers that dangle from the flower stalk. In cooler months, leaves take on a rose-colored tone Plants are fast growing and so make an excellent choice for new residential or commercial plantings. 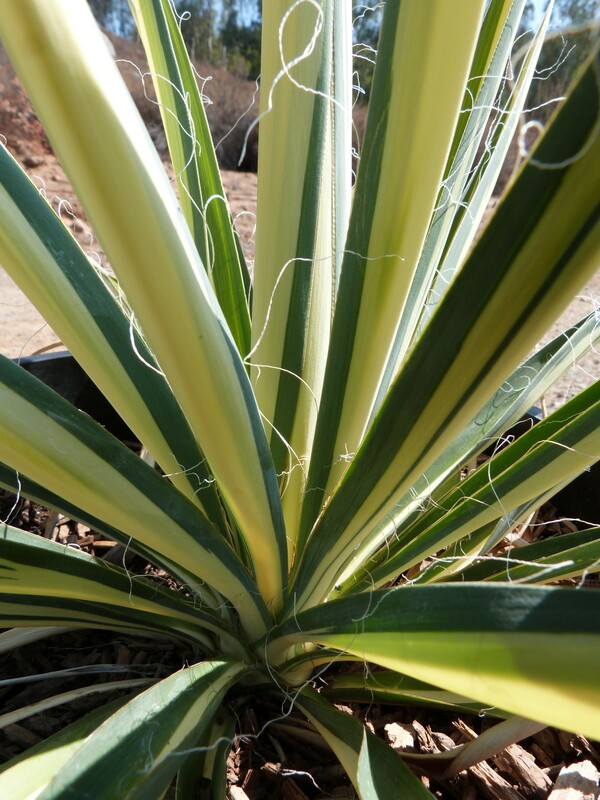 Yucca ‘Color Guard’ is incredibly versatile and can be used as a border or focal plant in areas that are sunny, windy, dry, humid, or even oceanside. Yucca ‘Color Guard’ looks great in containers planted with other drought tolerant plants such as a trailing variety of sedum. Plant Yucca ‘Color Guard’ in full to part sun. It is not picky about soil conditions, but grows best in well-draining soils. It is resistant to deer, rabbits and tolerant to most pests, making it one of the best plants around for low maintenance landscapes.